It's that time again. A wee summary of what I've been up to in comics this year. 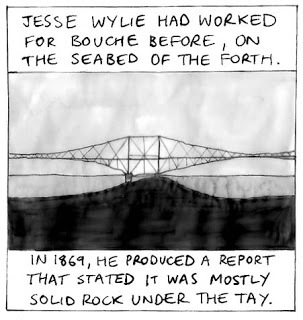 In January, I continued my Tay Bridge disaster comic strips with Dundee Shmundee #11. 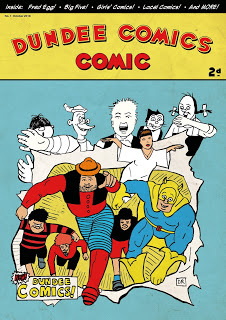 The character of Fred Egg made his return in a story I did for Copy This #47. February means Hourly Comic Day 2018, and this year I was awake too many of the 24 hours. That Comic Smell podcast had its first show of the year wherein we discussed our Christmas swag. 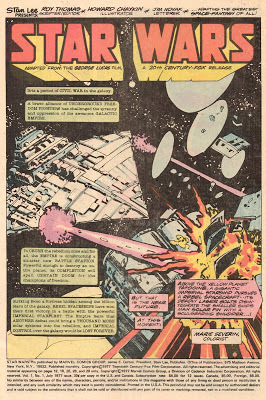 In March, I completed my blog featuring single panels from Star Wars comics of the 1970s and 1980s; I Stand with the Hoojibs. In April, That Comic Smell had two episodes, with topics being Love, and Treehouse Comic. I put together "My Perfect Comic" for an article over at the ComixFlix website. 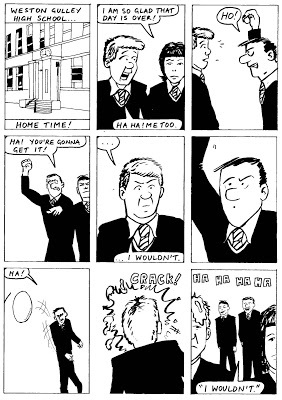 Another Dundee Shmundee #14 appeared in May. 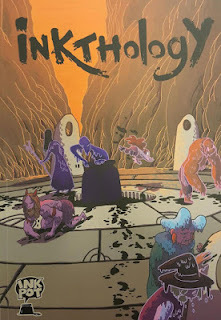 In June, the Ink Pot studio in Dundee put out an anthology through Universe Publications, entitled Inkthology. 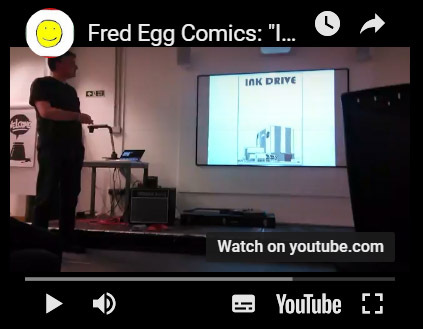 I did a story for it called Ink Drive, and performed it at a DeeCap launch event. I wrote a story for Francesca Mancuso to draw called Everything in Moderation, which she ran over at her Dreams Addict website. 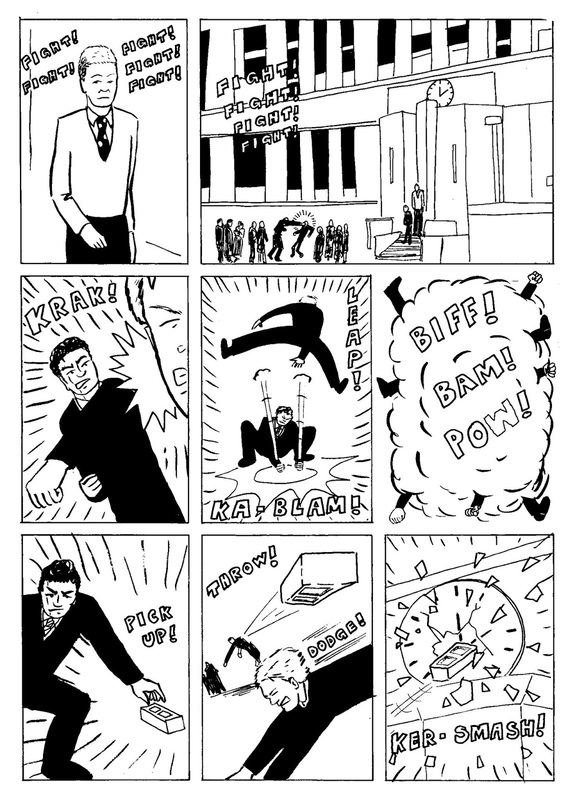 I began running my webcomic called Bell Time on a weekly basis at my blog. In July, That Comic Smell had an on-location episode (in an Edinburgh restaurant) to discuss our Glenrothes Con swag. Bell Time episodes 2, 3, 4, 5 were uploaded to the blog. And the Inkthology fun continued with a That Comic Smell podcast featuring Rebecca Horner and Catriona Laird. 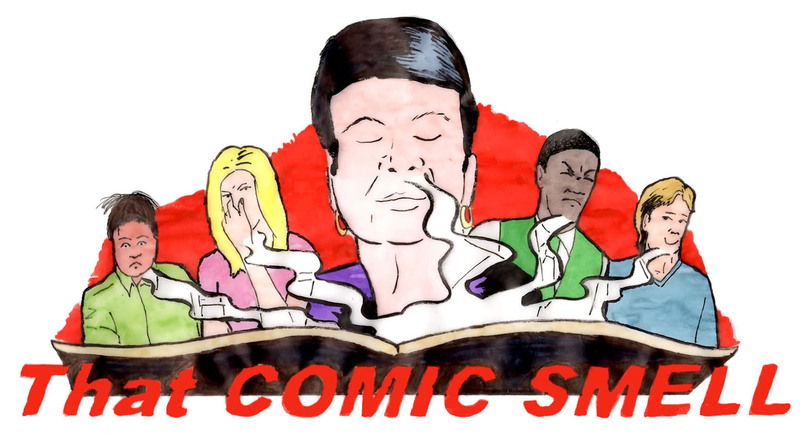 In August, That Comic Smell got right up to date with some New Comics Chat. Bell Time continued with parts 6, 7, 8, and 9. I had a nice surprise when looking through a book I was interested in, The Star Wars Phenomenon in Britain. I found I was quoted in there discussing the Al Williamson newspaper strips! It's a good read for UK Star Wars fans of a certain vintage. 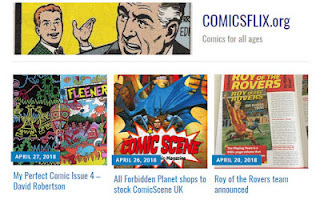 That Comic Smell struck again, with episodes on British Comics, and one where we chose Top 3 Creators (with guest Olivia Hicks). 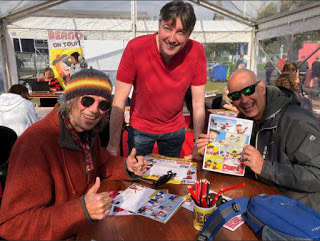 That Comic Smell discussed Ann Nocenti and her comic with David Aja, "The Seeds"
I was pleased to take part in a Beano Comics Record attempt as part of the V&A Dundee opening events. 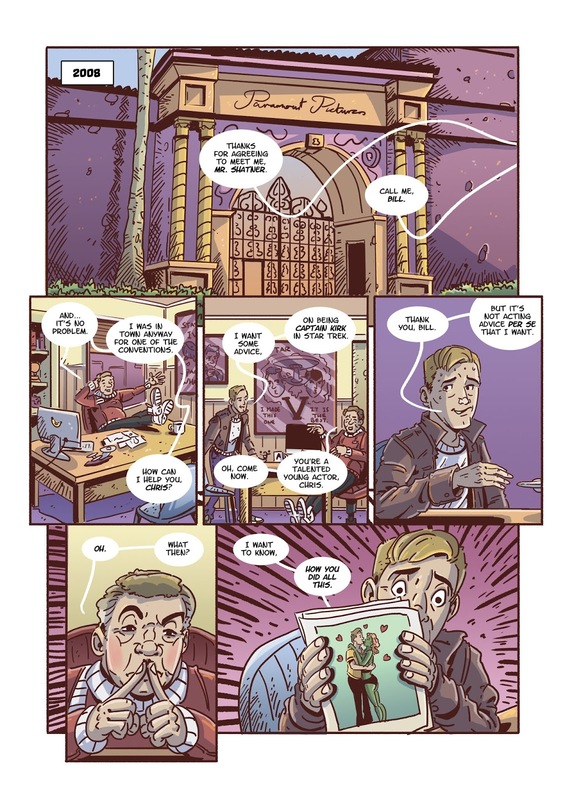 I wrote an article on my comic book "Wow! 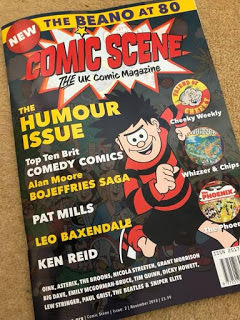 Retracted" for the magazine, Comic Scene UK. 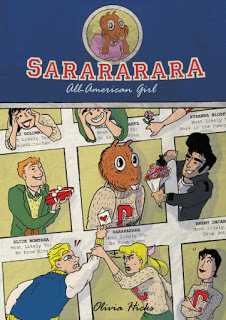 Olivia Hicks' Sarararara featured a guest comic by me, entitled, "Number Three's the Charm!" 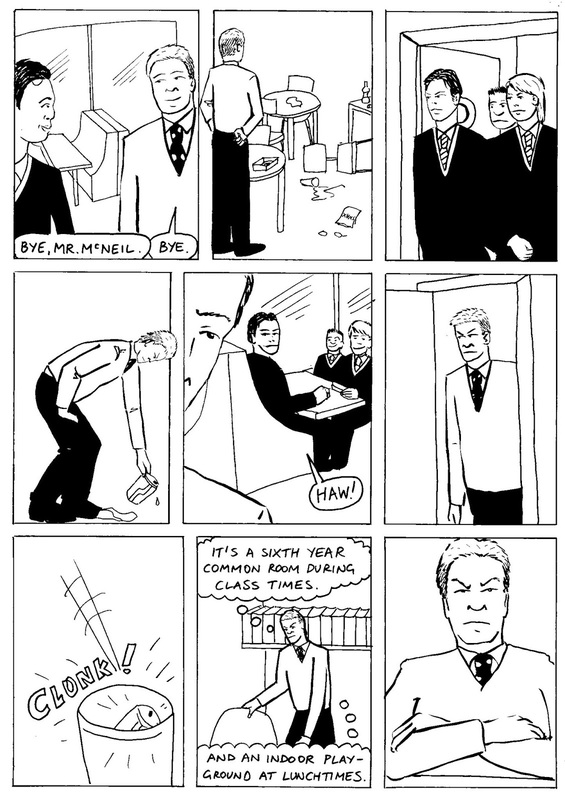 The latest Big Brown Eyes anthology, "Barriers" had a story by me in, "Minty McAllister: Lady Journalist"
In October, That Comic Smell had a Q&A session, we all brought 2 Recommendations, and we did a tribute episode to Superman. Bell Time parts 15, 16, 17, 18 went online. 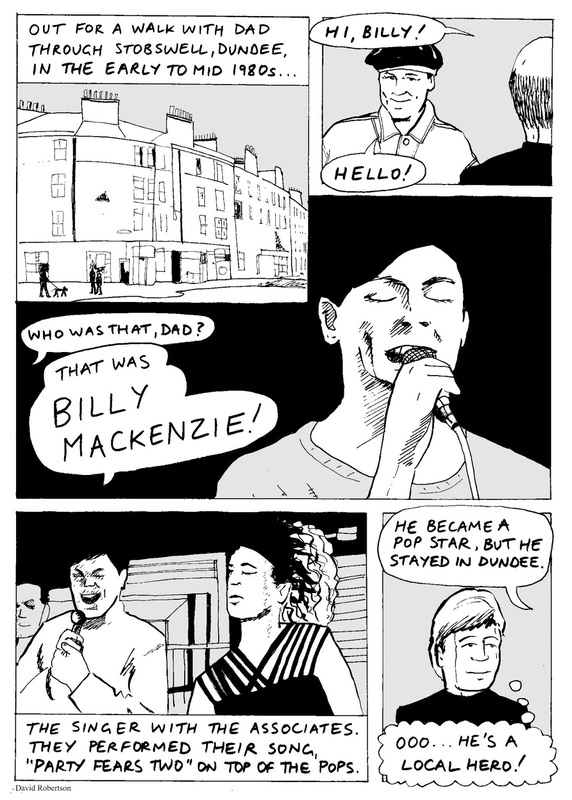 I did a tribute comic to Billy MacKenzie for inclusion in Dead Singers Society #4. 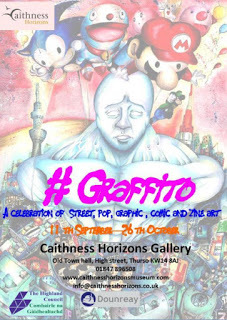 The Graffito exhibition in Thurso had my comics Silently Falling, and the wraparound cover for Berserkotron on display. 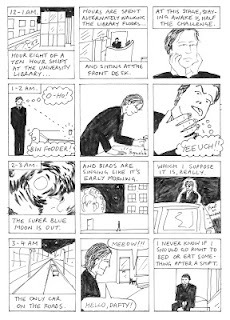 After a visit to the Comics Archive at the University of Dundee I did a comic for their anthology "Chronicle"
I did a comic book history of comics in Dundee - called Dundee Comics Comic, which was published by Universe Publications. 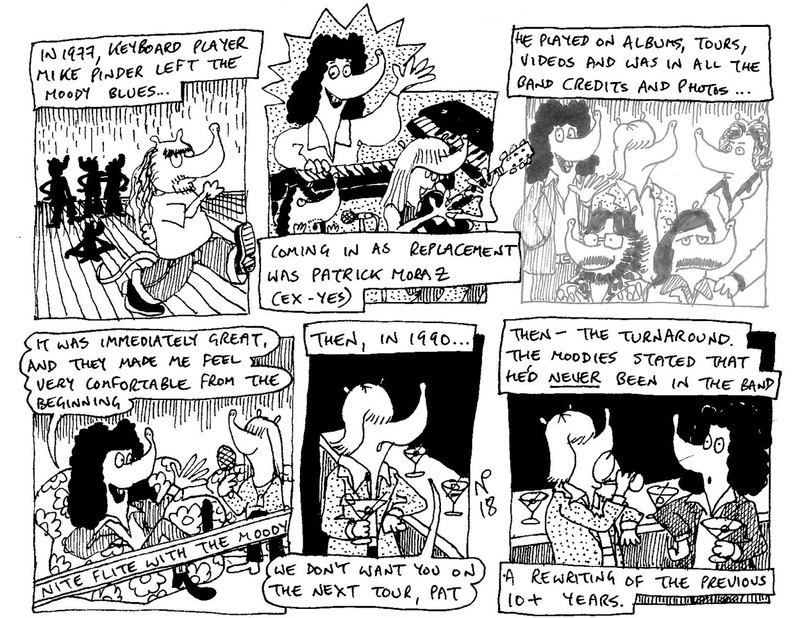 I did a guest comic for Penned Guin. 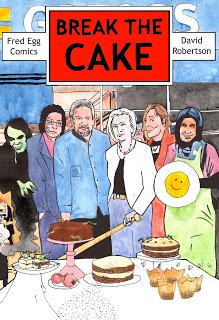 In November, my latest comic book Break the Cake was released. Bell Time 19, 20, 21, 22 were published online. 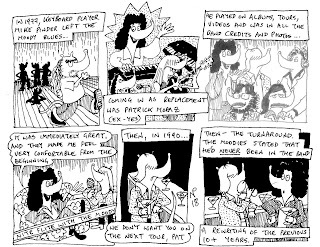 I did a few comics for the New Zealand anthology, Funtime Comics #31. My two page Frankensteins comic appeared in Frankenstein Returns. 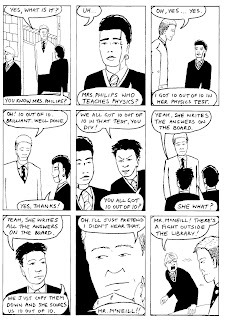 That Comic Smell 33 discussed our Favourite Female Characters and featured Alan Henderson. 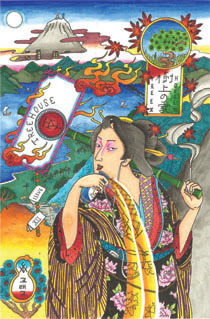 Throughout December, Bell Time 23, 24, 25, 26, 27 appeared. 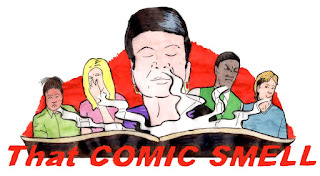 That Comic Smell 34: Asterix / Goodbye, Stan Lee, and 35: Christmas Do! both went online. 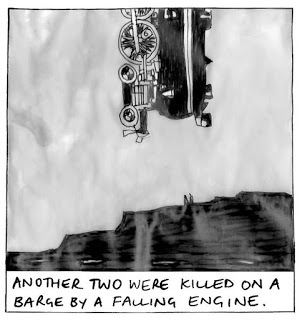 Next year, I'll be continuing Bell Time and my Tay Bridge Disaster comics, and am planning to publish the former in print. Coming up immediately in January is a strip for the next issue of Copy That! I hope you all have a great 2019. 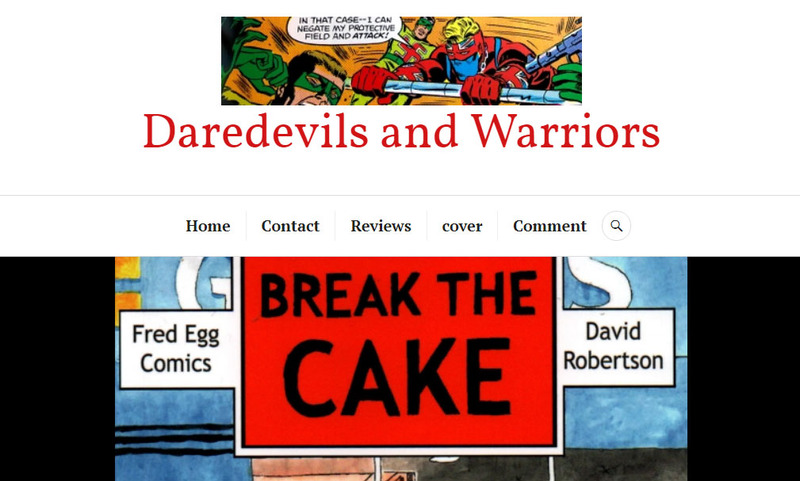 Keep on being involved in comics; reading them, making them, selling them, reviewing them, whatever! 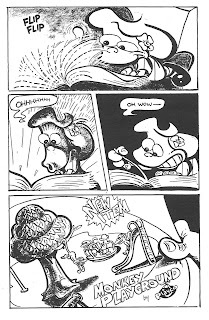 Comics are the greatest! 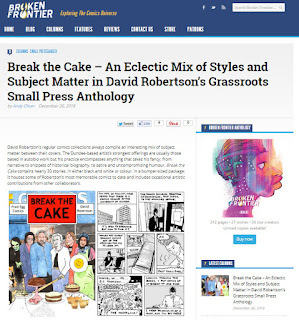 Andy Oliver has written on Break the Cake over at Broken Frontier. 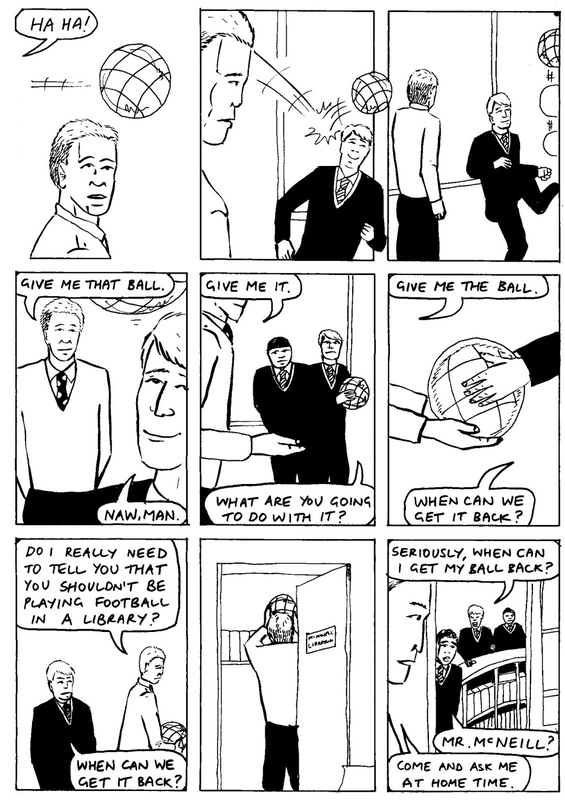 Patty Cake by Scott Roberts is one of the best comics of the 1990s and 2000s. This Christmas special issue is a prime example of why it is so good. 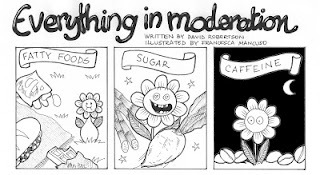 Full of heart, good humour, and terrific art. 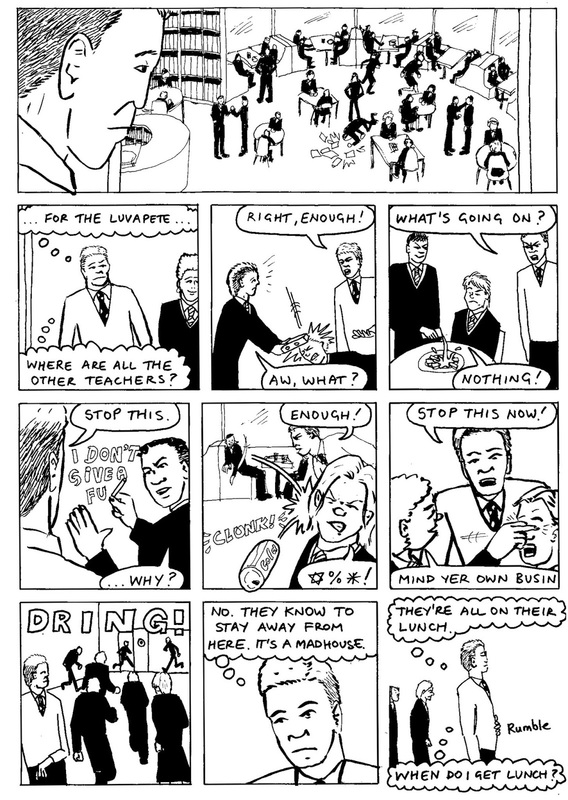 The comic follows both of them obsessing over their respective wishes, leading up to Christmas Day. 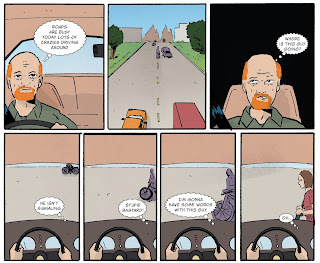 It's a great comic, and rereading it is always a treat. 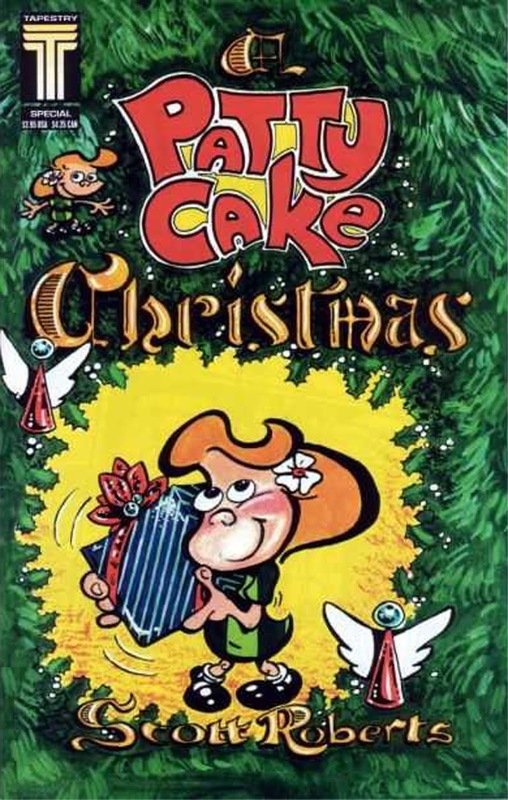 The latest edition of That Comic Smell podcast is a Christmas comics discussion, and I bring up this very comic. 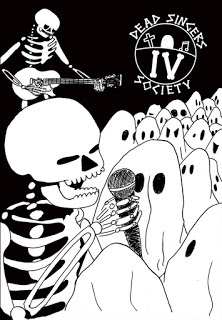 Have a listen on iTunes, Soundcloud, and YouTube. "HO! HO! HO! Welcome all. In this bumper Christmas special the folks sit down to Christmas Dinner. Grab that chair and get stuck in with us. After stuffing your face (much like we did) jump in to hear what some kids asked the podcast. Yes, children actually asked us questions. Who’d have thought it, eh? We also get even more festive. Each of us bring along a Christmas comic to show off and discuss. Welcome Heroes of Gaul and Spidey Friends! In this episode of That Comic Smell we take a dive into the pool and get as tough as Obelix to take on those Romans for ourselves. Yes, we tackle the legend that is “Asterix” but not before we have a little goodbye to another comics giant, Stan Lee. We reminisce over some of our Stan written/ influenced books and Nando reads a very touching piece he wrote upon hearing the sad news. 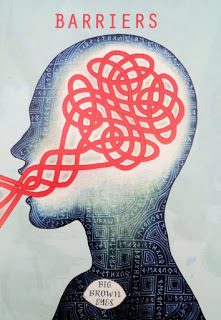 Although there is a sadness in the first section of the podcast, Asterix and A LOT of sugar seems to make the folks here go a little mad as we laugh and gibber our way through various other topics such as toilet reading and what we have been reading lately. 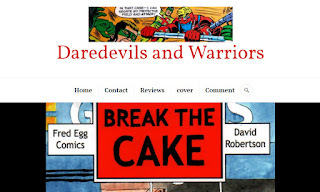 Alister Black has written on Break the Cake over at Daredevils and Warriors. 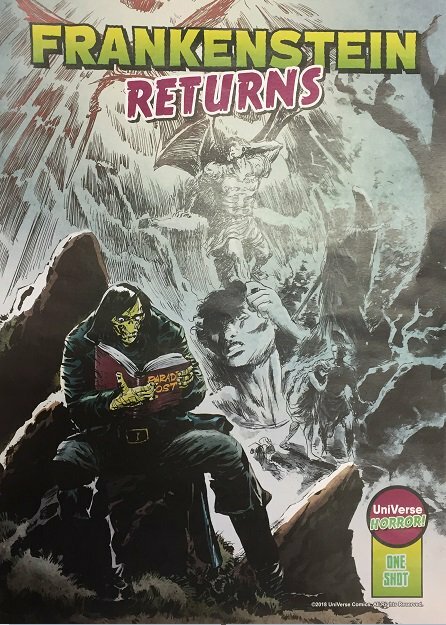 This comic has just been released by Universe Publications to mark the 200th anniversary of Mary Shelley's Frankenstein. 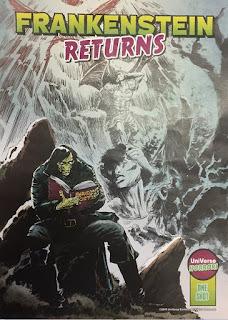 I am in there with my story, "Frankensteins", alongside work by Elliot Balson, Lana Barron, Sarah Bond, Mark Cruncher, Damon Herd, Harry Higgins, Cam Kennedy, Catriona Laird, Ashling Larkin, Harper McBride, Dan McDaid, Norrie Millar, Chris Murray, Ian Newman, Andrew Strachan, and Phillip Vaughan. 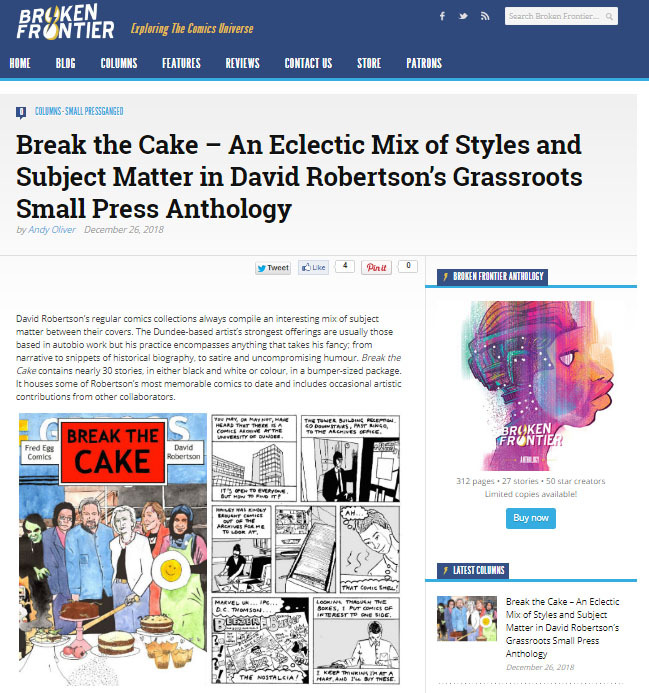 Kevin Bramer has written on my comic Break the Cake over at Optical Sloth. The latest issue of Funtime Comics is out now, featuring Dan Brader, Glenn Hibburt Arcadio, Armouros Cardear, Shaun Craill, Aaron Christiansen, Simon Fletcher, Shaun Garea, Bob Gibbons, Ryan Green, Dylan Horrocks, Adrian Kinnaird, David Mcdonald, Esquivel Mayorga, Eddie Monotone, Arthur J Whelan, and Paul Jason Young. I have a few stories in there; “Big Bubbles”, "How to Make Comics Part 14", and “Tea Break at the Razor Factory”. 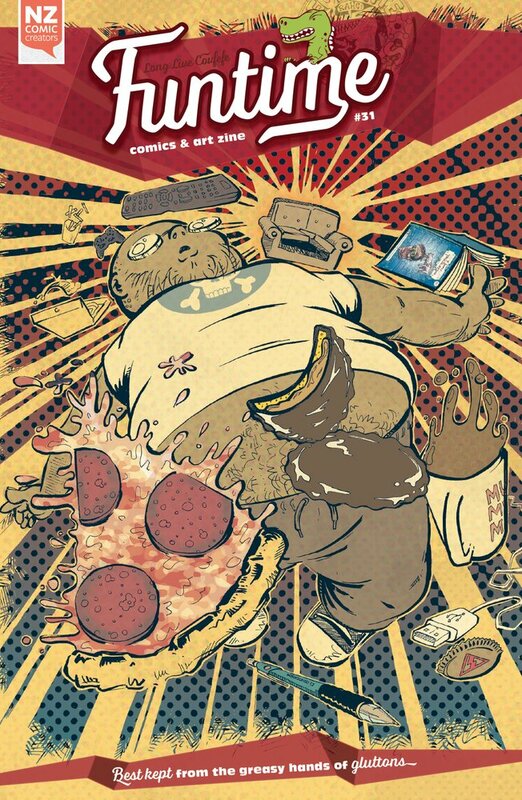 Funtime Comics #31 is available to order here. Stan Lee was the first famous person I ever wondered about. “I wonder what Stan Lee is doing right now?” I used to think. As a wee boy in Dundee, the best I could envisage was him in the Marvel Comics office talking with writers and artists, or typing away writing stories. The truth is that by the time I was reading Marvel Comics in the late 1970s, Stan Lee had moved on and was no longer part of the comics company. 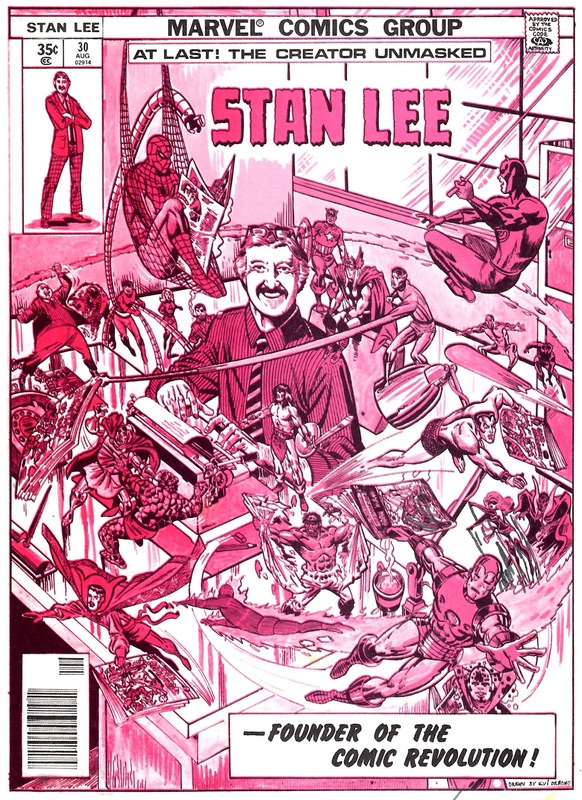 Each comic had “Stan Lee Presents” at the very beginning. 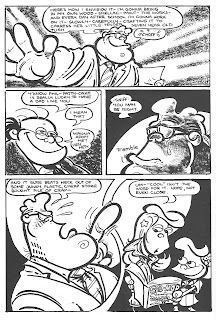 He wrote “Stan's Soapbox” in each issue. He was still a figurehead, and remained so until today. In Christmas 1979, I was lucky to get the Spider-Man Annual published in the UK, and in it was a three page article on Stan Lee. Stan's reputation has changed over the years, but this article lionised him, and formed a basis for what I thought about him. I'm sad that he's died. It does feel like the end of an era. 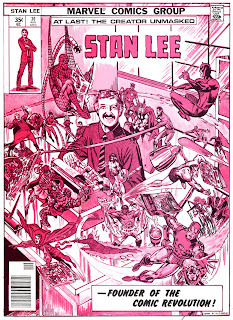 Decades later, Stan appeared at a con in London, announcing that it was to be his last show there. I considered going, with the idea in my mind that when I was stood in his vicinity, I would at last know what he was doing right now. That was Billy Mackenzie! Story art: DR.
Star-Crossed Lovers. Story: DR, art: Norrie Millar. Tea Break at the Razor Factory. 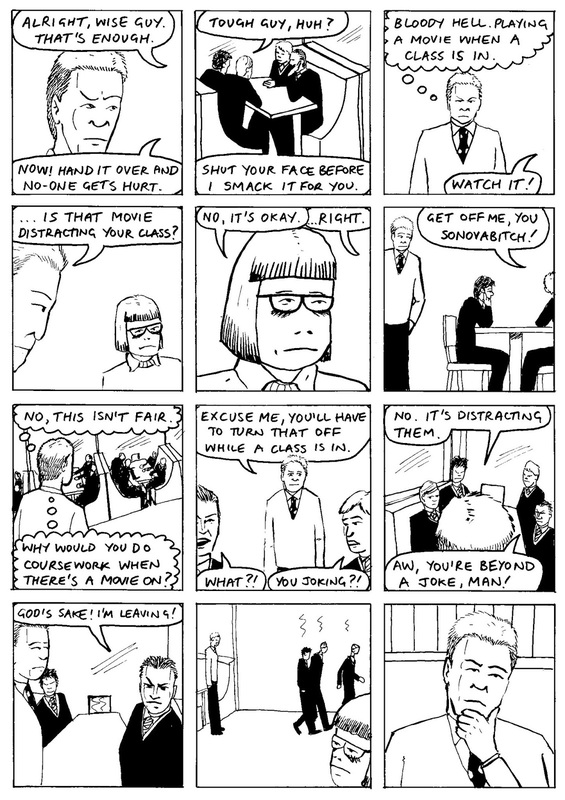 Story, art: DR.
Urinal Gum. 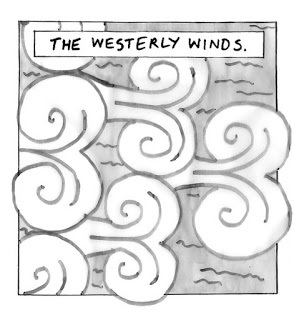 Story: DR, art: Tim Kelly. Weird Moments in Dad Rock, Number One. 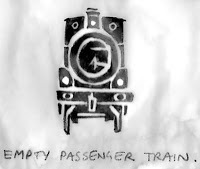 Story: DR, art: Neil Paterson. Which Way Now? 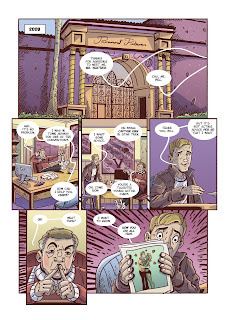 Story: DR, art: Marc Casilli. 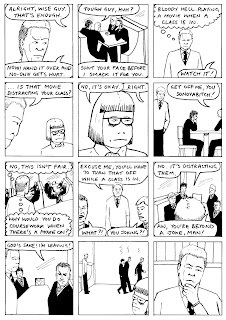 Break the Cake is available to pre-order at the Fred Egg Comics shop here, and will be on sale at Dundee Zine Fair tomorrow.